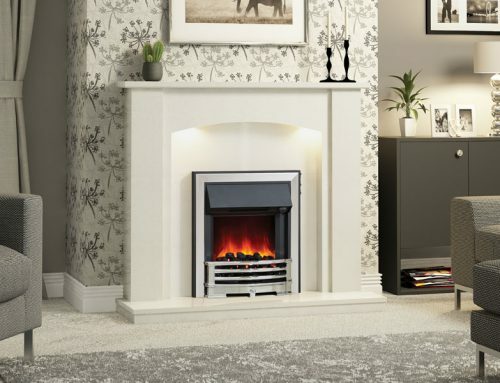 Whatever your style of room – from traditional to contemporary – and whatever size up to the largest, this broad 1295mm (51’) curved arch surround will gracefully oblige. 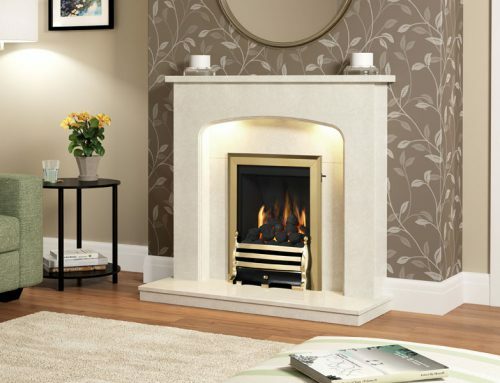 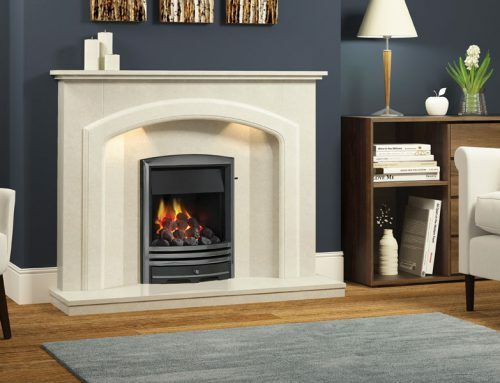 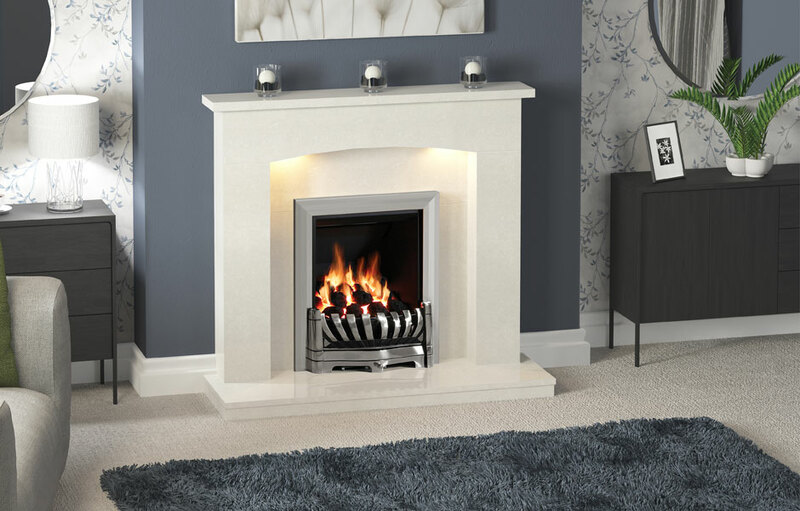 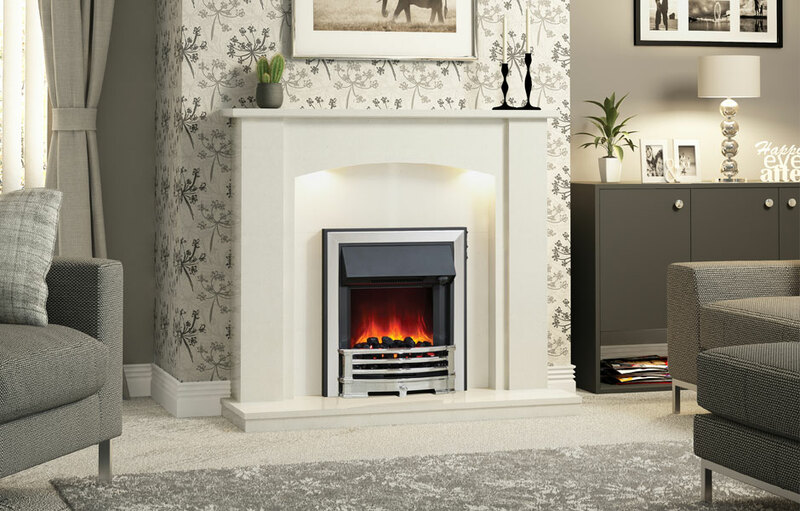 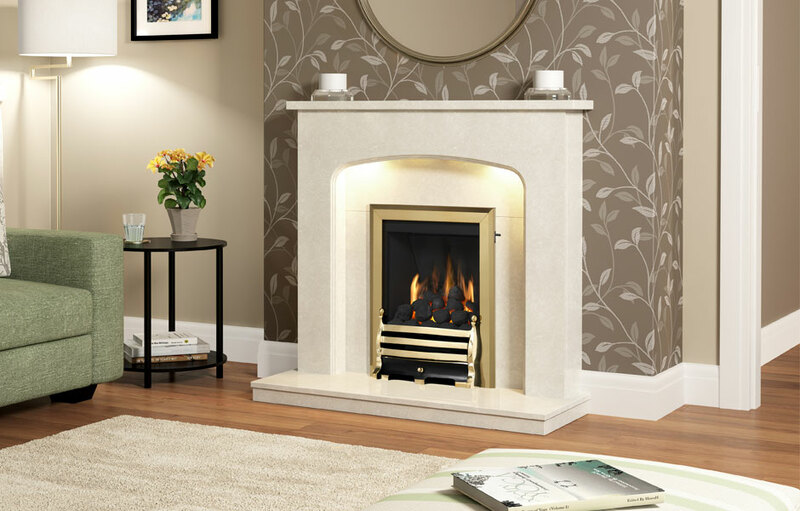 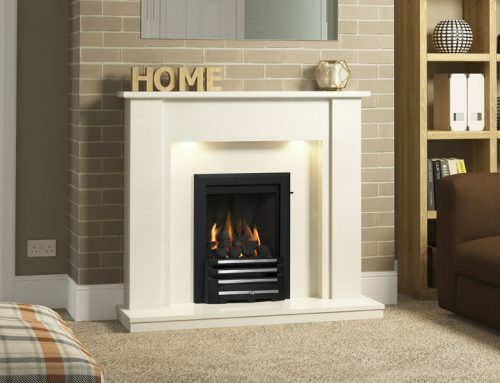 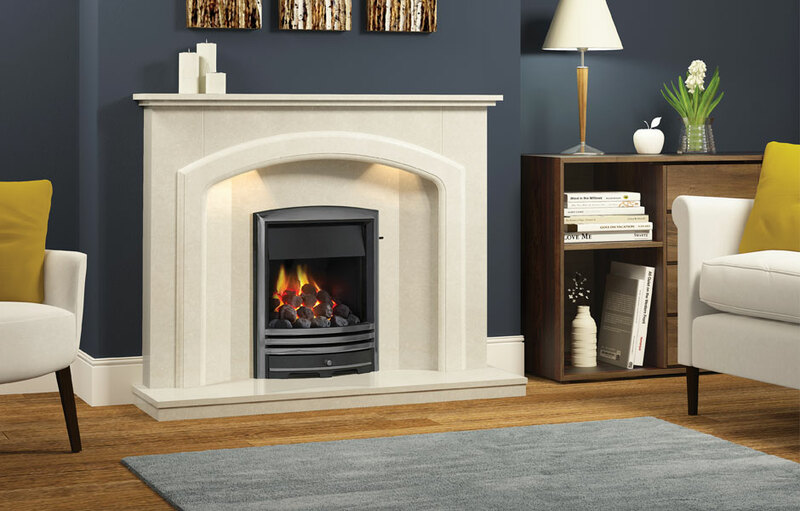 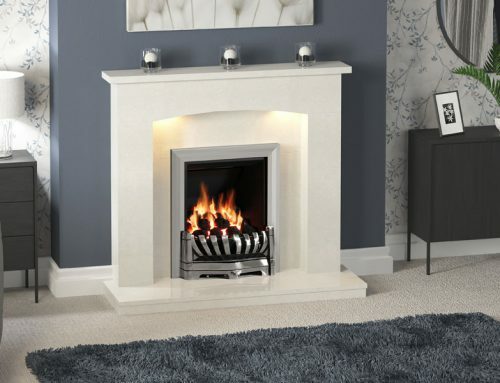 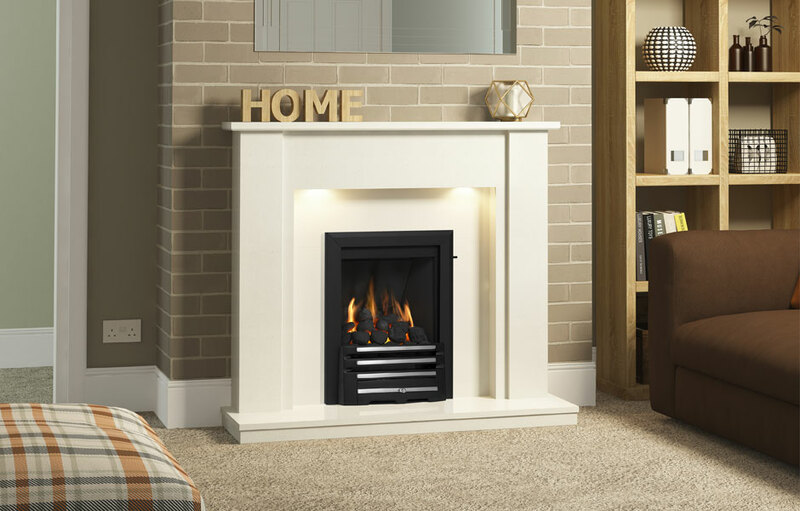 Shown here in Manila micro marble with a gas fire in Cast Nickel trim. 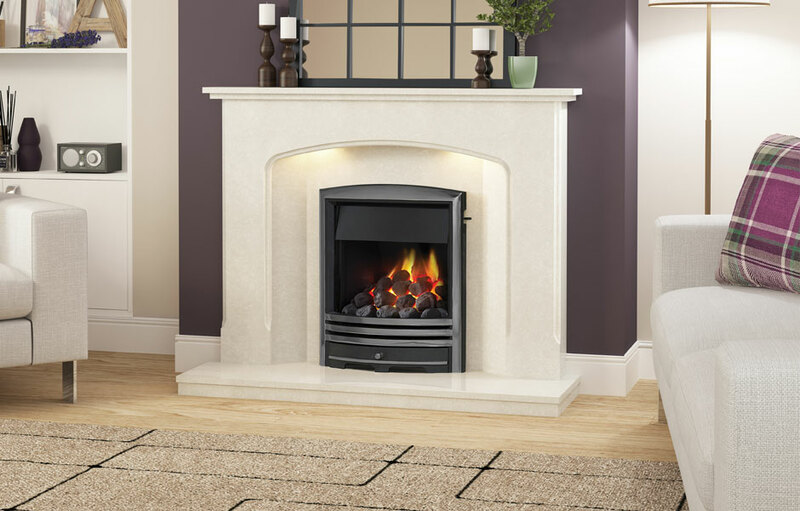 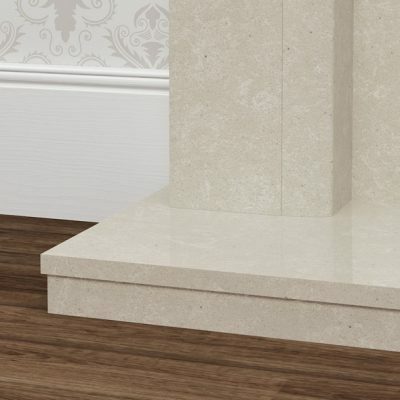 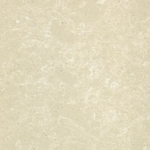 The Octavia marble surround is available in Manila micro marble only.